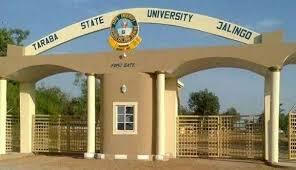 This is to inform all applicants and the general public interested in applying for admission into the Taraba State University, Jalingo that the sales of admission form for the 2018/2019 academic session has began. Be informed that all candidates who attained the UTME score of 180 and above in the recently concluded 2018 JAMB UTME exams are eligible to apply for admission. 1. Eligible candidates are to visit the University website via http://www.tsuniversity.edu.ng/home/portal/application/register.php to register. 2. Create a username and password and proceed to make payment of Two Thousand Naira (N2,000) online as screening charges to TSU account. 3. Fill the form online and submit online. 4. Print online admission Screening Acknowledgement Slip/Receipt from the Portal. 5. Upload all necessary documents (O’ level WAEC. NECO. NABTEB, A’Level IJMB. NCE, Diploma and JAMB Result etc.) indicate your O’ level scratch card pin number on the result. NOTE: Original copies of credentials will be verified at the point of physical screening at Faculty level in due time after successfully securing admission. The Admission exercise commencement date for 2018/2019 session is expected to last for TWO WEEKS commencing from 6TH OF JULY 2018 to 31st August, 2018.